On a whim, I looked up “November 18” in music history and discovered a coincidence of composer birthdays. 11/18/1680 is the birthday of Jean-Baptiste Loeillet. 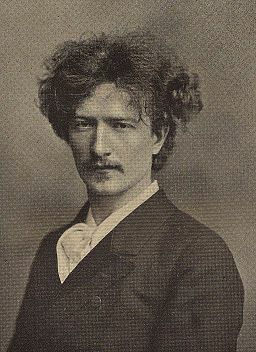 11/18/1860 is the birthday of Ignacy Jan Paderewski. Maybe I’m easily amazed, but that was enough to get me going. The Loeillet soubriquet has been a bit confusing for music historians. It seems there were several composers named Jean-Baptiste Loeillet in the same Belgian family. Jean-Baptiste Loeillet “of London” is the subject here. When his father (Jean-Baptiste-François Loeillet) died, he was adopted by his uncle Pierre Loeillet, father of another Jean-Baptiste Loeillet born in 1688, who was referred to as Jean-Baptiste Loeillet “of Gant” (or Ghent), Belgium. They all originated there, but 1680 Loeillet ended up in London and 1688 Loeillet lived mostly in France. 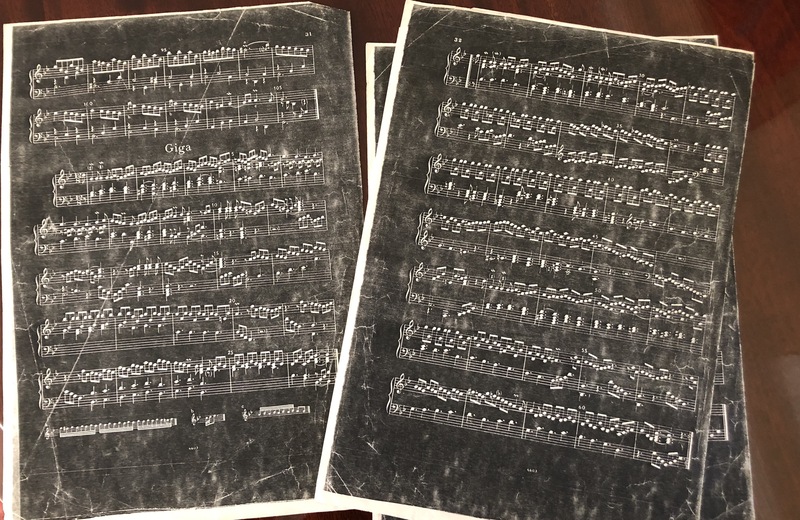 His Suite in G minor has been a favorite of mine since I discovered it at my parents’ house, printed as if in white ink on black paper. (“I know – for harpsichord, right?” They didn’t get it.) Neither could recall how they came by the reversed-print copy – something about the Yale library and that’s just how it is. “Why didn’t whoever made the copy do whatever they did again, so it would re-reverse?” No answer. This was before scanners and Photoshop, so it was good motivation for me to get it off the page and into memory. Paderewski was an extraordinary man. Handsome and charismatic, a composer and a virtuosic pianist, his talents were enough to make him admired. But he was much more than that. He was a philanthropist, a champion for peace, a lifelong defender of his home country, Poland, and for a time was even its Prime Minister. Paderewski was living in Switzerland when WWII broke out. From there he moved to New York, where he intended to work on relief efforts for Poland. He died only months later, and was given a state funeral by the Polish embassy and the United States. His body was taken to Arlington National Cemetery to await return to a free Poland. As a temporary measure, the body was interred in a vault. This temporary measure turned out to last a long time. After the Soviet Union ousted the Germans from Poland, they installed their own communist regime. Paul Hume, a biographer of Paderewski and Washington Post music critic, helped to persuade President Kennedy to have a plaque made to mark the unidentified resting place in Arlington. Finally in 1992, 51 years after his death, Poland was free, the temporary interment came to an end, and the casket was moved to Fort Myer Chapel. He would at last have a formal state burial in Warsaw. There were still controversies, however. Paderewski’s sister had apparently ordered his heart removed and it is encased in bronze in a Doylestown, PA shrine, where it will stay. Some legal suits to “reconstitute the body” by having the heart replaced were not successful. An unrelated lawsuit from a fan tried unsuccessfully to have Paderewski buried in France. Beyond their strangely similar birthdays, do Loeillet and Paderewski share any musical coincidences? Not so much, but despite their 180-year time gap, I did notice two instances in common. One is the idea of exact repetition, especially in opening measures as though for emphasis of some kind. Here it is in Loeillet’s Courente. The second measure could have done any number of other things, or the third measure or the fourth measure for that matter, but he trumpets the same pattern. Similarly, here’s Paderewski’s little Menuet, although the repetition provides a sense that’s more lilting or even lulling. He’s borrowing this style, so in that sense maybe it shouldn’t count as his own, but there are other examples, like the direct repetition opening his Intermezzo No. 2. 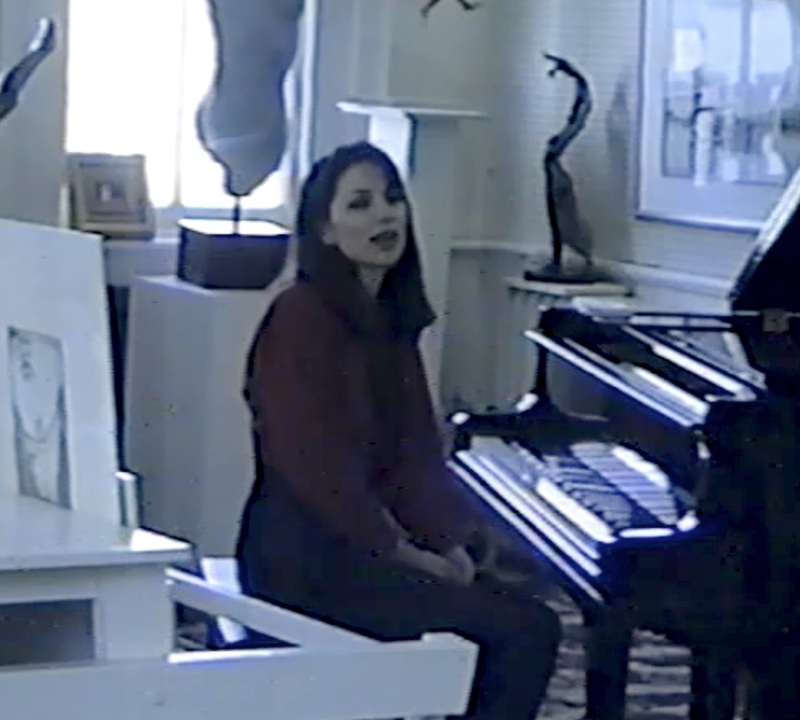 This took place at a little art gallery in old town – er, Olde Towne – Alexandria, surrounded by sculptures lurking eerily, for the creepiest setting of any piano performance, ever. There were 40-50 people there, max. The video has transformed from a cheap VHS camera to some kind of DVR to this, so for sound I might as well be playing a toy piano with my elbows anyway. To make it special and “exclusive! !” – you have to have the passcode to view it, which is LouYay.